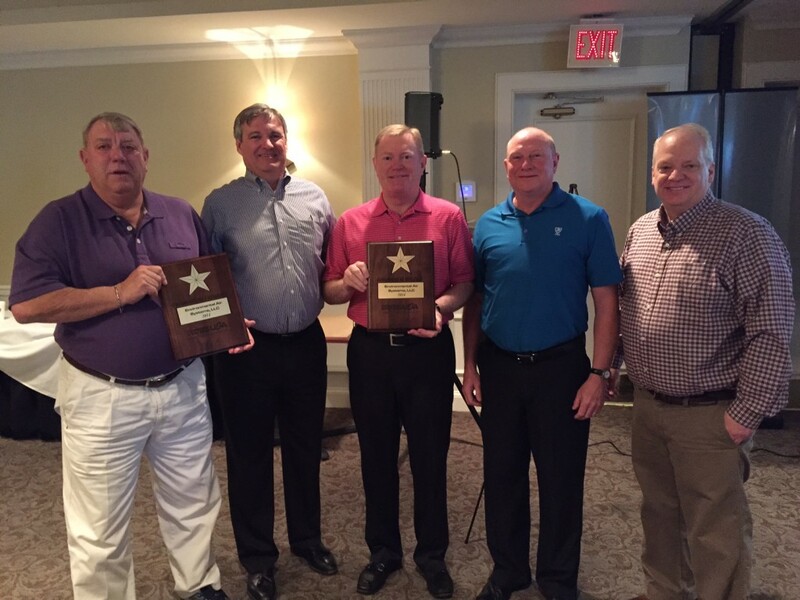 On Friday, April 24, Brian Lane, President of Comfort Systems USA, and Bill George, CFO of Custom Systems USA, presented Environmental Air Systems with two major awards. 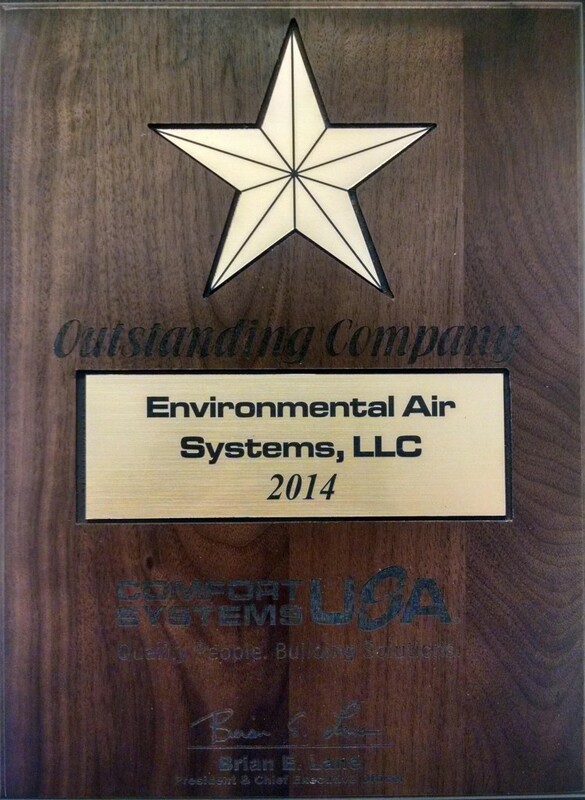 EAS received the Outstanding Company Award, which is presented to the top companies within CSUSA that achieve excellence in safety, quality, and profit. 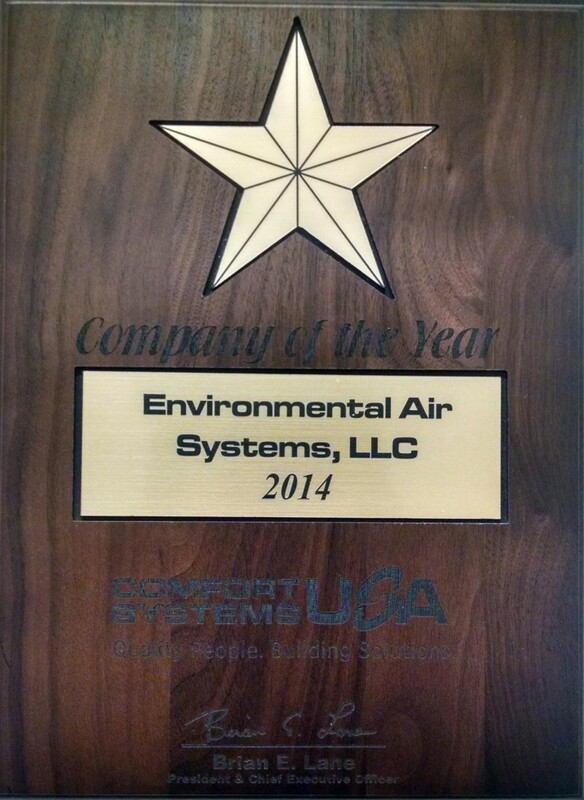 EAS also received the Company of the Year Award, which is presented to the top company that achieved the best ratings in safety, quality, and profit. EAS is one of 40 mechanical contractors that is in partnership with Comfort Systems USA, Inc.